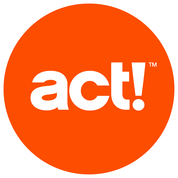 Applications — CRM Solutions, Inc.
ACT! is the premier on-premise Contact and Customer Management solution. Manage all your contact information, emails, meeting notes, and documents in one place across your organization. Access the information from your workstation, the web and on most mobile devices. Google Apps is a cloud-based productivity suite that helps you and your team connect and get work done from anywhere on any device. The suite of apps includes; Gmail, Calendar, Drive, Sheets, and Slides. Zendesk delivers the leading cloud-based Customer Support Software. It provides you on online portal for your customers to log support request, access knowledge base information, and provide you with valuable feedback. Get imediate notification of customer requests on any device from anywhere.